Over the past 10 years, the NAFOA Board of Directors has selected and recognized strong Native American leaders who have brought about positive economic change for both their communities and Indian Country throughout the course of their careers. NAFOA’s 10th Annual Lifetime Achievement Awards ceremony was held on Tuesday, Oct. 3, 2017, at River Spirit Casino Resort in Tulsa, Oklahoma. 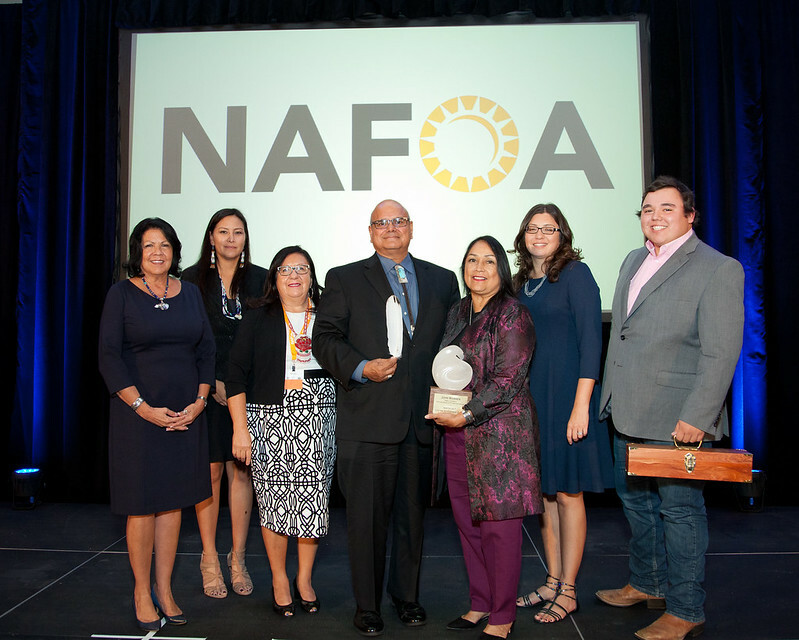 NAFOA recognized two esteemed tribal leaders—Ada Deer, of the Menominee Indian Tribe of Wisconsin, and John P. Warren, of the Pokagon Band of Potawatomi Indians—with the NAFOA Lifetime Achievement Award. Deer was honored for her pioneering work as a nationally recognized human rights activist, social worker, and public servant. Born in Keshena, Wisconsin on the Menominee reservation, she is the first Menominee tribal member to graduate from the University of Wisconsin - Madison (UW-Madison) in 1957, earning a Bachelor of Arts degree in social work. She was the first American Indian to earn a Master of Social Work from Columbia University School of Social Work in 1961. In addition to these academic achievements, Deer has received numerous awards over her lifetime, including honorary doctorates from the UW-Madison, Northern Michigan University, The Ohio State University, and Dartmouth College, among others. As a co-founder of the grassroots movement DRUMS (Determination of Rights and Unity for Menominee Shareholders), Deer was a central figure in the Menominees’ struggle to save their land and people from federal termination. One of her major achievements is the successful lobbying of the Menominee Restoration Act through Congress. Signed into law by President Richard Nixon on Dec. 22, 1973, this historic congressional act reinstituted the Menominee Indian Tribe’s federal recognition and is credited for helping to end the cruel termination era. In 1993, Deer was appointed the assistant secretary of the Department of the Interior by President Bill Clinton and served as head of the Bureau of Indian Affairs from 1993 to 1997. Prior to her years in public service, Deer taught classes at the UW-Madison School of Social Work. She returned to academia in 2000 as the director of the American Indian Studies Program at UW-Madison, retiring in 2007. 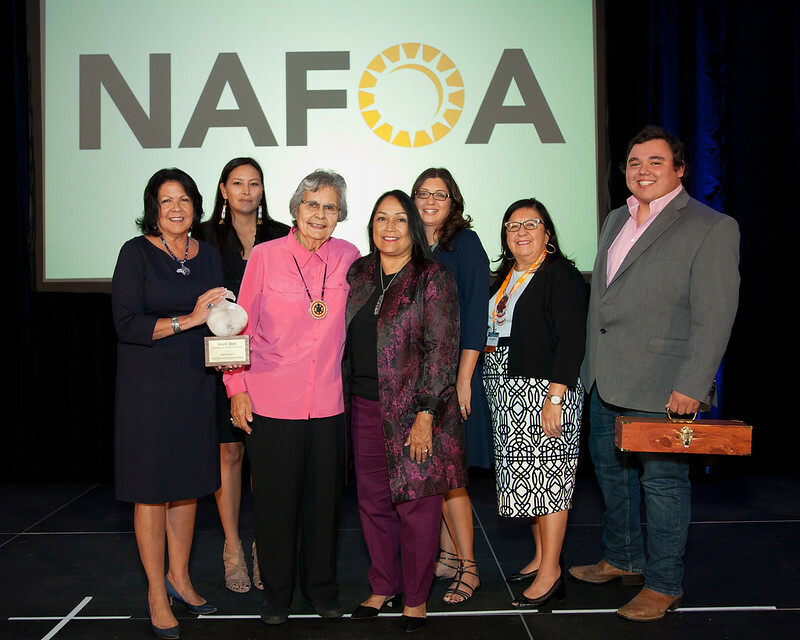 NAFOA recognized John Warren with the NAFOA Lifetime Achievement Award for his commitment to his tribe’s sovereignty, governance, and economic growth. Born and raised in South Bend, Indiana, Warren has served the Pokagon Band of Potawatomi Indians in some capacity for most of his adult life. While on the Tribal Council prior to federal recognition in the 1980s, he served as vice-chairman and worked with Notre Dame Law School to create the first draft application that led to the reaffirmation of the Pokagon Band of Potawatomi’s sovereignty in 1994. As treasurer, he directed the implementation of quarterly financial reviews, key performance indicators, and financial policies and procedures for the developing tribal government. In 2014 the governor of Indiana, Mike Pence, appointed Warren to chair the state’s Native American Indian Affairs Commission. Culturally, Warren has traveled the United States and Canada educating others about the Pokagon Band of Potawatomi culture. He was a cultural coordinator with the tribe’s Education Department and is a traditional dancer, singer, and drummer with the Ribbon Town Singers. He holds an Associate of Applied Science in business administration from Ivy Tech Community College and is a veteran of the U.S. Army and Indiana National Guard. He and his wife of more than 40 years call Granger, Indiana home, and have three children and ten grandchildren. Warren is currently serving as the Tribal Council Chairman and CEO of the Pokagon Gaming Authority Board, overseeing Four Winds Casino Resort with locations in Hartford, Dowagiac, New Buffalo in Michigan and an additional location in South Bend, Indiana. NAFOA commends Ada Deer and John P. Warren for their years of dedication and commitment to advocating on behalf of their communities and Indian Country by honoring each of them with a NAFOA Lifetime Achievement Award. These distinguished recipients have paved the way for a brighter economic future for Native American people. NAFOA is a national non-profit organization whose mission is to strengthen tribal economies by: promoting excellence in financial management, advocating sound economic and fiscal policy, developing innovative education initiatives, and providing essential information, resources, and support to meet the challenges of economic growth and change. NAFOA will be holding its 36th Annual Conference in New Orleans, LA on April 23- 24, 2018. For more information about the organization, visit www.nafoa.org.